Article from US Rowing - Should Growing Rowers Eat a 4th Meal? Should Growing Rowers Snack or Eat a 4th Meal? Rowing is a high calorie burning sport. In fact, along with swimming and running, rowing torches significant calories compared to most youth sports. In the adolescent growth spurt, the need for calories to assure normal growth and cover the energy needs for rowing may be quite high. Young rowers may find it difficult to eat enough calories in the day, especially in light of school schedules before practice. Inadequate calories may lead to lackluster performance, fatigue, and even weight loss. Healthy snacks are certainly one strategy to help the rower achieve sufficient calories to meet his nutritional needs for growth and sport. However, a snack may not be enough. This is where a 4th meal can help. For some rowers, the switch to a meal mentality rather than a snack mindset may the ticket to proper fueling before exercise. A 4th meal is generally higher in calories due to larger portions, and the inclusion of more food groups compared to a typical snack. A 4th meal is best eaten when there’s plenty of time (an hour or more) before exercise to allow for digestion. Experiment with a 4th meal to see if it does a better job at fueling the rower adequately for an intense workout, especially if “snacks” are less nutritious, growing in size, or frequency, or if the rower is complaining about frequent hunger. Pad Thai or Lo mein. Sandwiches: When time is tight, pack a sandwich and rotate different types to keep it interesting. Remember, a 4th meal may do a better job at fueling a workout and improve the rower’s overall diet, while also warding off excessive hunger. Jill Castle, MS, RDN is a registered dietitian, childhood nutritionist, and youth sports nutrition expert. She is the author of Eat Like a Champion: Performance Nutrition for Your Young Athlete. Learn more about Jill at www.JillCastle.com. What a great (but very chilly) day of racing at the Citrus Sprints in Inverness. The first thing many of us got to see when we arrived was the amazingly beautiful tents provided by the Lemos family and Dunkin' Donuts of Moss Park. Inside one of those tents, Tina, our new hospitality coordinator set up a great spread of food and hot/cold drinks that kept our rowers going all day. Thanks Tina and crew!!! After braving a morning of VERY cold weather, it was onto the water and victory for many of our boats. Our Middle School team had an amazing day with open water wins in two of their 3 gold medal winning performances. It was also a great moment for our Women's 4+ A boat who won (fairly easily) the last race their coxswain, Madi Deweese, will be able to participate in for awhile since she has corrective hip surgery scheduled on February 9th,. This will be her 2nd such surgery in a few months (both hips needed the same surgery) so all prayers and well wishing should be sent her way as she hopes to make a full recovery and return in time for States. Thanks to our coaches who made the trip for their great work all day and to the coaches who couldn't make it for the training that lead to some impressive results on the water. Lastly, thank you to all our parents who made the adjustment to their schedules and brought their rowers to Inverness. It turned out to be a great day of racing and even warmed up by the end. Citrus Sprints moving to Sunday!!! Due to high wind forecast, the hosts of Citrus Sprints has decided to move their regatta to Sunday. Our planner is still valid, just for Sunday instead of Saturday. Any changes to the plan will be discussed at our Kickoff Dinner on Thursday and posted to the event page. Please let us know if your rower can attend the race on Sunday here. Can your rower race on Sunday if they move the regatta? Please click here to indicate yes/no. Overnight we got word that ROCCS, the team hosting Citrus Sprints this weekend, was very concerned about a high wind forecast for Saturday (15-25mph). This wind forecast would make rowing unsafe for all aged/abilities. Because they want to see fair and safe racing, they have already implemented logistics to Sunday IF the weather forecast does not improve by tomorrow. This adjustment to the race schedule and willingness to move to Sunday is very uncommon (we've never seen it happen in Florida), but greatly appreciated. Normally, if weather interrupts a regatta, the regatta is simply canceled and not rescheduled. Although we will not know until TOMORROW (Thursday) if the regatta will be moved to Sunday, for planning and logistics purposes, we need to know TODAY if your rower will be able to make it Sunday (this also includes rowers who were unable to race on Saturday). A new event page/registration has been set up and we need ALL rowers, High School and Middle School to register thus indicating they can row on Sunday. Your response to racing Sunday will not change whether the race is on Saturday or Sunday, it will affect SORA's decision on whether we can make the race on Sunday. Coaches will be following up with rowers today at practice. We have to make a decision as a team very quickly on this so please make every effort to let us know your availability now. Below is the full communication from the regatta hosts. Again, we are extremely thankful that they are even considering offering a Sunday regatta instead of just canceling racing all together. We at ROCCS have been watching the Saturday Regatta weather forecast very closely. The winds are forecast at 15 - 25 mph all day. These are unsafe winds for rowing. We will wait until approximately 7:00 PM on Wednesday to determine whether the wind forecast substantially changes. If it does not, and if the winds remain unsafe for rowing, we will move the Regatta to Sunday, Jan. 24. Sunday's weather is forecast to be ideal for rowers of all ages. We have already received permission from the City of Inverness to hold the Regatta on Sunday, if required. If the change is required, we hope that there remains enough interest from all teams and entrants to continue with the event. (Perhaps even more scholastic rowers can participate since the day will no longer conflict with the state-wide SAT testing!) We have worked very hard to ensure that the day is fantastic, and we apologize that the weather is not cooperating. However, safety is of utmost concern for all rowers. Should you have any questions, please do not hesitate to contact me. An update will be sent Wednesday evening. Hello to the extended SORA family. I’m Robert McClory and I think most if not all of you know me. I am now acting President of SORA and want to give you an idea of where we’ve been, where we are and where I see us going as a club. First, I'd like to thank outgoing board members, President Scott Deweese and Vice President Justin Lednar, for their years of service and dedication to the cause of making SORA great for our members. Without them, we'd not be where we are today. The past several months have been tough from a “business” standpoint. Rather than concentrate on the “fun stuff”, we have been forced to implement several measures to tighten up how we do things internally so we can keep our 501c3 status and at some point pass an IRS audit if it comes to that. This is not necessary for the general membership to know/be concerned with but I wanted to share that so you understand what the previous board lead by Scott Deweese has been focused on most of the year starting last Summer. Hopefully the trailing edge of that effort is here and we can move forward to things that are more “membership facing” like better planning, communication, etc but first we had to shore up the core of SORA so it was around for the long haul. The efforts of the previous board, a few of whom are still active board members (in the same or different positions), have left SORA as a much more efficient organization in nearly every way from finance to communication. As president, I will try to make sure those changes remain in place as well as putting the finishing touches on ongoing projects. Then I want to turn my attention to making sure your experience, and your rower’s experience is as good as it can be. After all, this is an organization that exists solely to provide our kids and members the opportunity to participate in this amazing sport. It’s not rocket science and it should be fun so my goal is to guide SORA in directions that supports that idea. I really want to see us grow as an organization but also grow the participation of each member in the club. We are dependant largely on volunteer efforts by the membership to get certain things done, from the board on down. The only “staff” we have is our coaches, the most important being Katie Lednar, our head coach and director of our program who shoulders a lot of the burden but not nearly all of it. Everyone else is a volunteer. I believe with effective communication of our needs and what can be done to help, most people are happy to pitch in now and then, especially if it means their kids are going to have a better experience at SORA. Together we can create an environment where our rowers can thrive in their training and produce results in competition. To that end, I want to ask each of you to be as open as you can in communicating with me any concerns, questions, or comments you may have. I admit that if it has to do with coaching or “on the water” issues, I’ll simply defer to your kid’s coach but I can help make sure those things are heard by the right people. I look forward to the rest of the season and serving as your President. However, due to the popularity of this event, please be prepared for increased traffic this week. Light Up the Wild begins at 6:30 p.m. Gates will close for this event at 6 p.m. ALL MEMBERS need to be in the park by 5:30 p.m. in order to avoid (hopefully) being in the line for Light Up the Wild. If you are not able to get in the park BEFORE the gates close or BEFORE the line starts, parent volunteers or coaches will drive your rower to the Spring of Life Methodist Church (417 and Moss Park Rd) at the conclusion of practice (est arrival 6:30). If you are available to be a parent driver for church dropoff, please let coach Katie know at the end of practice on whichever day you can drive. MS ROWERS PLEASE BE ON TIME!!! If you are late to practice this week (5:30), you will most likely get stuck in Light of the Wild Traffic. If at all possible, we encourage all parents dropping off middle school rowers to stay in the park. If you are returning at the conclusion of practice, parents please CLEARLY COMMUNICATE that you are picking up your rower (we encourage a right blinker and to have your rowing pass visible) while you are making your way to the park and through the gate. Please understand this is a stressful week for all park employees and be patient! YOUR PARK PASS DOES NOT INCLUDE ACCESS TO LIGHT UP THE WILD. We strongly encourage all members to experience this event. HOWEVER, your park pass DOES NOT include entry to Light up the Wild. The cost is $5 per car and you must enter through the line (you can not take a left to start your tour). Thank you in advance for your understanding and cooperation through this week. Elections are complete! Meet your new board. Thank you to those who turned out to participate in our annual board elections last night. It ended up being a "yes/no" vote on the 5 candidates who will step into or remain to make up the board starting January 1st. Stepping away from the board after years of service are Scott Deweese, President and Justin Lednar, 1st VP. Thanks to both of these guys who did a lot to shape what SORA is today. I will be sending an email to all members outlining my goals as President and the direction I see SORA going (or continuing to go) in once my terms starts in January. As the 2015 calendar year comes to an end, we would like to thank all of the friends and families of our rowers who volunteered to make this year such a great success. 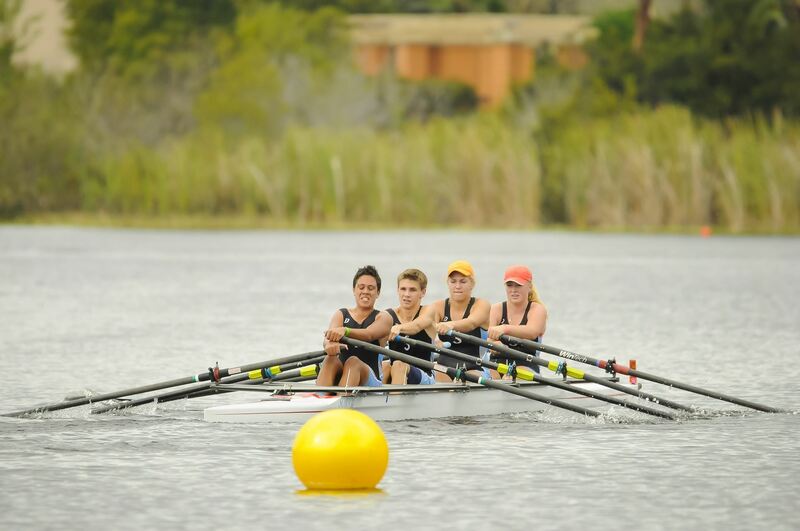 There are many rowing clubs in this state with larger memberships and much better funding, but none of them hosted three competitive regattas and provided as many programs to our community as we have. We accomplished all of this because of you. I would like to offer a special thanks to Katie and Justin Lednar for their continued commitment to the success of SORA and in particular for their contributions to our very unique adaptive rowing program for the physically disabled. I would like to thank our coaches for training our young athletes to be good rowers and even better human beings. Finally, I would like to thank the kids who love this sport and come to Moss Park eager to learn and train. They are the reason I volunteered to become a board member over 2 years ago and they are what make SORA the great community organization that it is today. The work of SORA will continue on in 2016 and we will need your help. Please join us at the Annual Meeting of the Membership to be held at 6:30pm on Wednesday, December 9, 2015 at the North Shore at Lake Hart HOA - 9339 North Shore Golf Club Blvd, Orlando, FL 32832. This is the same location that we held the informational meeting in August. We will be addressing some open business items and holding the annual general election for the Board of Directors for the 2016 calendar year. If you would like to be on the slate and considered for the board of directors, please send an email to support@soracrew.com No later than Friday, 12/4/2015 to express your interest. In addition, please review, complete and submit the attached form to support@soracrew.com by Monday, December 7th. As always, feel free to download and do with them what you'd like! Congrats to ALL SORA rowers for your great performances on the water and your help making this one of the best Giblet's ever. A special congrats to our Varsity Girls 4x (1st Place), Mixed Varsity 4x (1st Place), Middle School 4x (1st place) and Boys Lightweight 8 (2nd place). We also had a number of great finishes just outside the medals. Great job everyone!!! We are just under 1 week away from the Head of the Giblet Regatta! This is the largest event hosted by SORA each year and we NEED your help to make it a success. Please read this email in it's entirety as it contains important information. The SORA REGATTA PLANNER will be published Monday afternoon. Thank you in advance for helping to make this years' Head of the Giblet Regatta a success!